What’s that, you say? You’re looking for an engine that can vary compression? In a super high-tech Infiniti SUV concept? Then look no further than the Infiniti QX50 Concept. Infiniti says that the concept will have new “autonomous drive support technologies”, which will act as a “co-pilot” to the driver, instead of replacing him or her completely. Which, at this point in time, sounds like super-duper fancy cruise control to me, par for the course on new cars these days. Boring. But! Under the hood is where the party is. 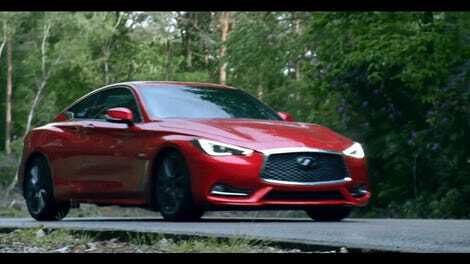 Infiniti’s new Variable Compression Turbo engine is a 2.0-liter turbocharged gasoline engine that can vary its compression. This way, the engine can deliver both the performance of a high-powered 2.0-liter gas engine and the torque and efficiency of a diesel engine. There is some extremely cool stuff at work here. We’ll be able to get a closer look at both the car and the engine at the Detroit Auto Show next week.